Besides offering professionals a virtual place to network, LinkedIn also provides an Ad platform that helps business professional to leverage its existing networks on LinkedIn. In this Video Tutorial, we provide a step-by-step guidance on creating a LinkedIn Ad Campaign. Besides, the tutorial also tells you about the additional benefits of this campaign as one is able to better target the right audience in terms of several attributes like Geographic and Demographics. It goes one step beyond in explaining the built-in LinkedIn Analytic tool to gauge the performance and effectiveness of the campaign. If you own a business and want to get best out of your LinkedIn contacts then why not to give a shot at watching this tutorial. 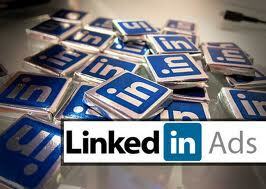 Was the tutorial helpful and provided you with valuable insights regarding setting up ad campaign on LinkedIn? Share with us in the comments below.